Attorney Kaitlin Rand watches everything she’s worked for dashed to pieces. A victim of raging feelings she can’t command, she struggles to regain control. A rising star in the world of law, Public Defender Kaitlin Rand watches everything she’s worked for being dashed to pieces while standing helplessly by. A victim of raging feelings she wants no part of, she struggles to remain the proud young woman she is meant to be. 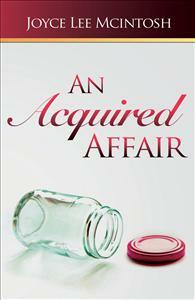 An Acquired Affair combines a wonderful cast of characters ensnared in a web of love, hate, and sexual misadventure. Relevant to the tenor of our times, it depicts the twists of human nature in all its variations and takes the reader to an unexpected resolution.